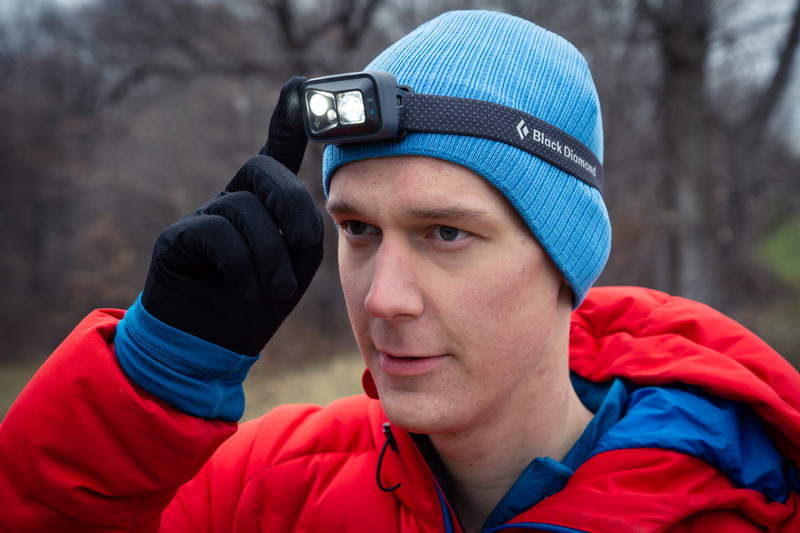 The bottom line: the Black Diamond Spot is an excellent headlamp with IPX8 waterproofing, 300 lumens of brightness, and all the features one could ask for. Though not ultralight, the Spot is reliable and durable. Having just reviewed the Black Diamond ReVolt, it's clear to me that the Spot is basically the ReVolt minus rechargeable batteries. They have almost the same specs (when running on alkalines), are similar in weight, use the same button gestures, and have the same modes. Because of this I'd suggest reading my review of the ReVolt as well. If you don't need long battery life and you hate throwing away batteries, then the ReVolt may be perfect for you. If, on the other hand, you do multi-day trips or long trips in the dark, and you need the extended battery life, you may like the Spot better. BD claim 175 hours of battery life for the Spot in low power mode, and 30 hours in high power mode at 300 lumens. There is also a battery indicator to tell you how much life is left in your batteries. At full brightness the lamp is bright enough to run trails easily. Low power mode isn't really bright enough to do much; however, it works well to let cars know where you are when road running. Because it's such a wide angle it actually illuminates your chest (when tilted down), which helps cars see you much better. Much of my use will be night running on roads, and the Spot is great for being noticed. The fit is great. Although at 3.1 ounces the Spot is not really ultralight, it's fairly compact and it sits close to the head. It doesn't bounce around or anything and the strap is quite comfortable. With an IPX8 rating, the Spot is waterproof - however, the battery compartment is not sealed, so water can leak in. This should not destroy the headlamp, but it might not work until it dries out again. Overall, the Spot is a great lamp with tons of features. Similar headlamps include the BD Storm, which is a bit more expensive but also brighter, and the Petzl Tikka, which is the same price but dimmer. This puts the Spot at a competitive position with a good price for the features and quality.